Varnishing is a core finishing product area for Celloglas. 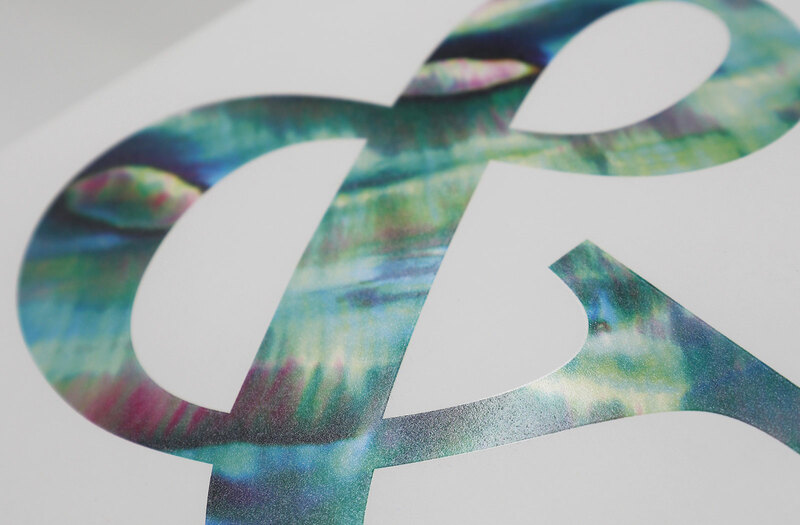 A varnish sometimes called a coating or a finish is often combined with other decorative effects to enhance printed materials. Varnish finishes can also be applied to add protection from general handling or contact with moisture. 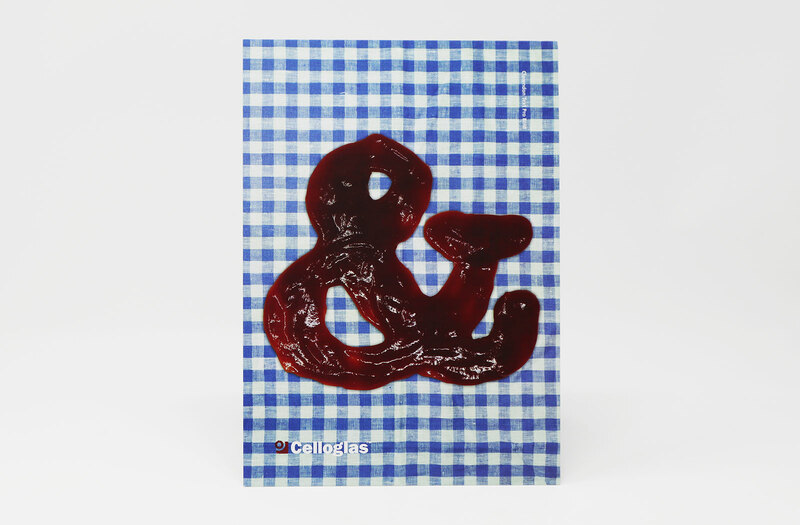 A varnish that is applied to an entire printed surface after printing is called overall varnish. Varnish that is applied to specific and limited areas is called spot varnish. There are two methods of applying a varnish. As a silk screen process which offers a high-quality finish and is the recommended method for special effects finishes glow in the dark, glitter, stipple and pearlescent coatings. 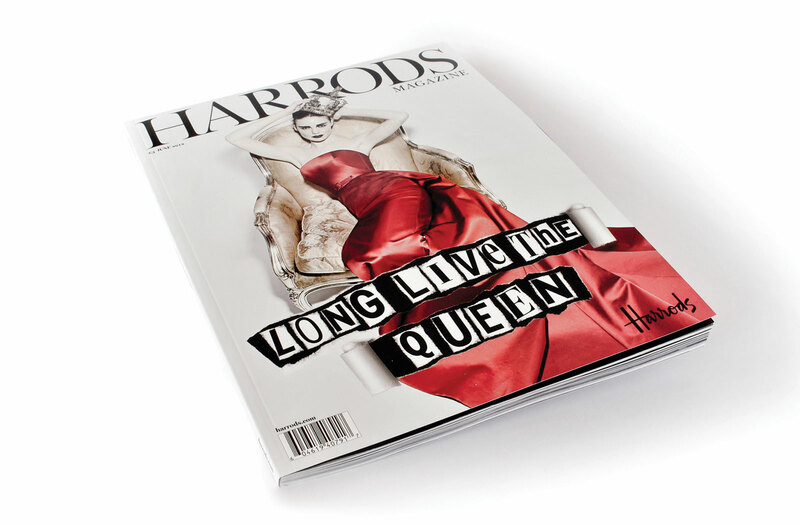 Or, where speed is of the essence we can provide an overall cover or spot varnish using a Heidelberg press. 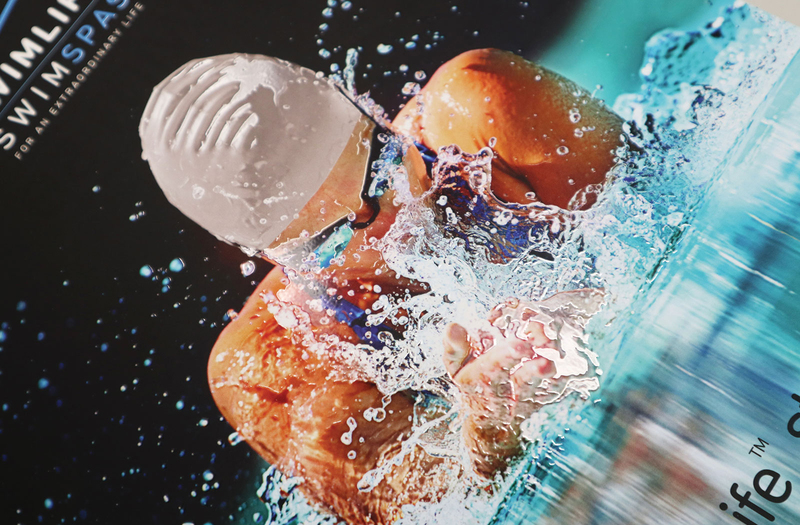 This enables us to finish a high volume of sheets with a faster turnaround as a high-speed process, our Heidelberg press can apply both overall and spot finishes and has a twin coating option. It is possible to achieve a wide variety of effects such as hi-build varnish sometimes called a raised varnish by increasing the thickness of the varnished layer. Special finish varnishes can also be used to create a variety of effects, including pearlescent varnish, glitter varnish or velvet varnish. Celloscreen Spot Gloss UV is a screen applied varnish that is used to highlight select areas with a gloss effect. 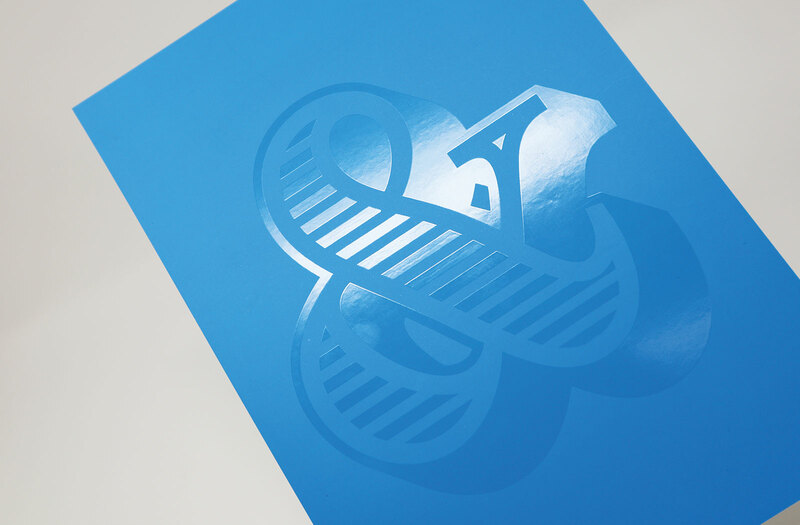 Spot Gloss UV is normally coupled with a Silk or Matt effect stock or laminated sheet. 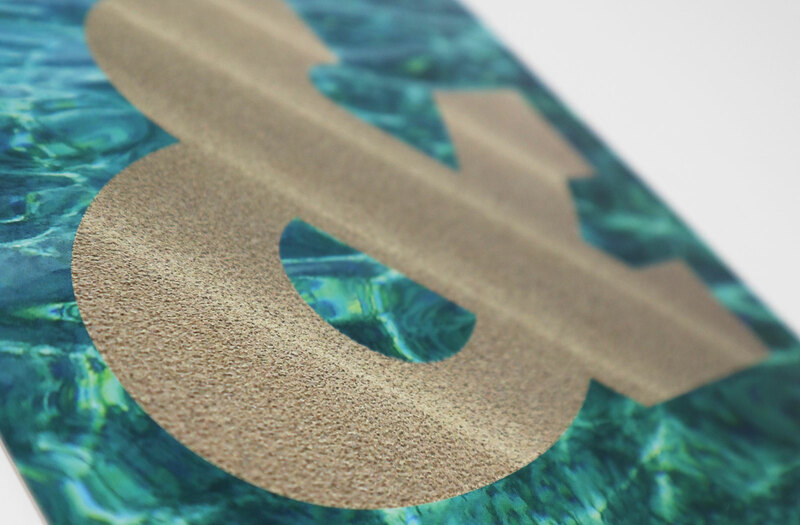 A raised texture can be achieved using a UV spot varnish known as high build UV. This screen-applied finish creates select matt effect areas within a design. 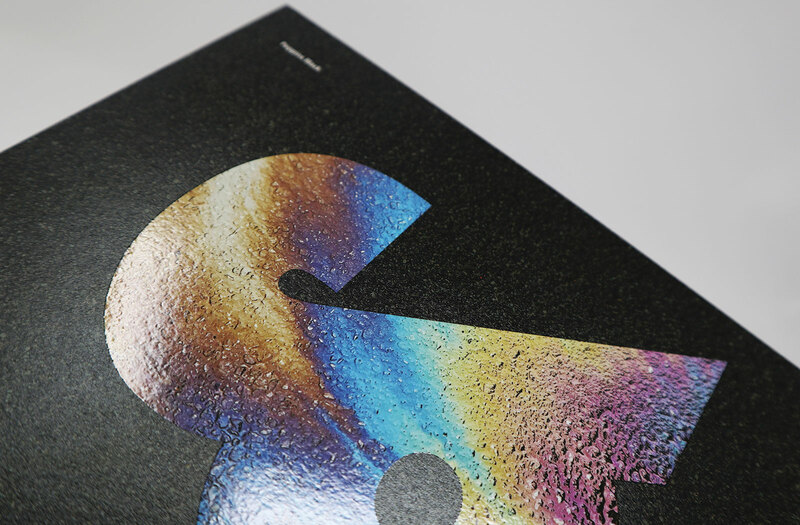 Spot Matt UV is often applied on a gloss effect stock or over a gloss lamination, creating contrast in the design. 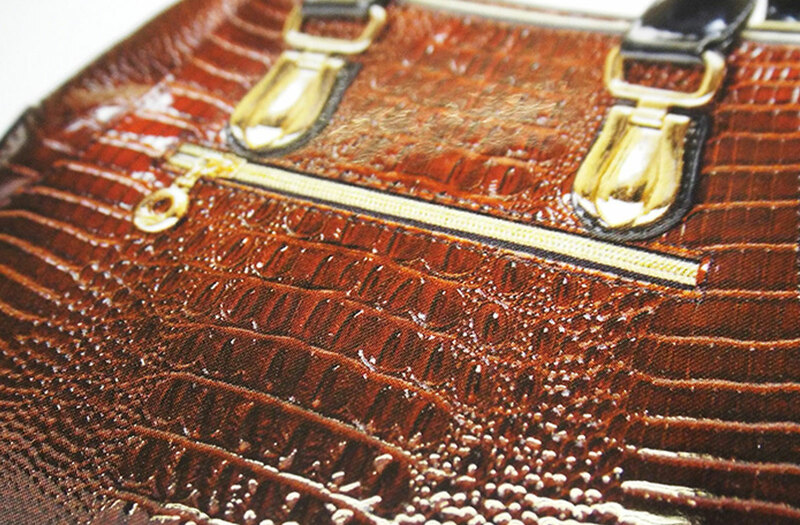 A textured varnish can be applied using a screen printing method. The texture is determined by a solid black layer in the artwork file that shows where the varnish is on the sheet. The varnish level can be altered to suit the design - from a glossy effect with a low level texture, to a high build pattern effect all controlled by the screen and the varnish used. 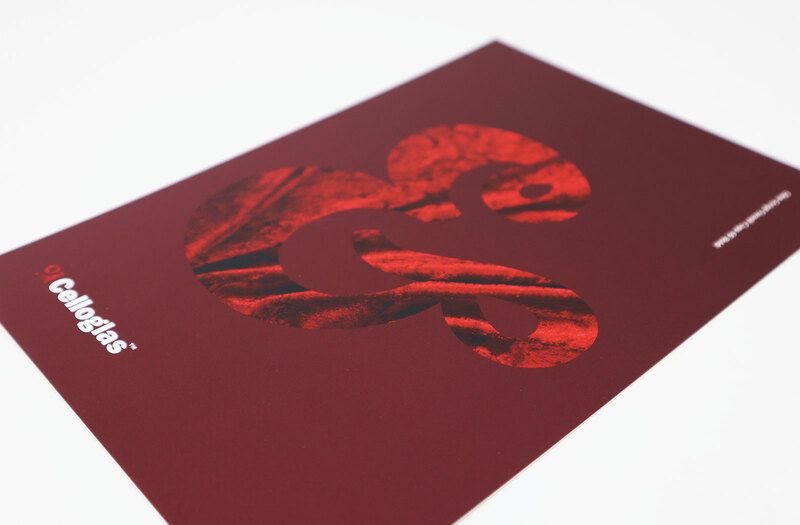 The textures could be used to create a leather effect or a repeat decorative pattern or piece of text. 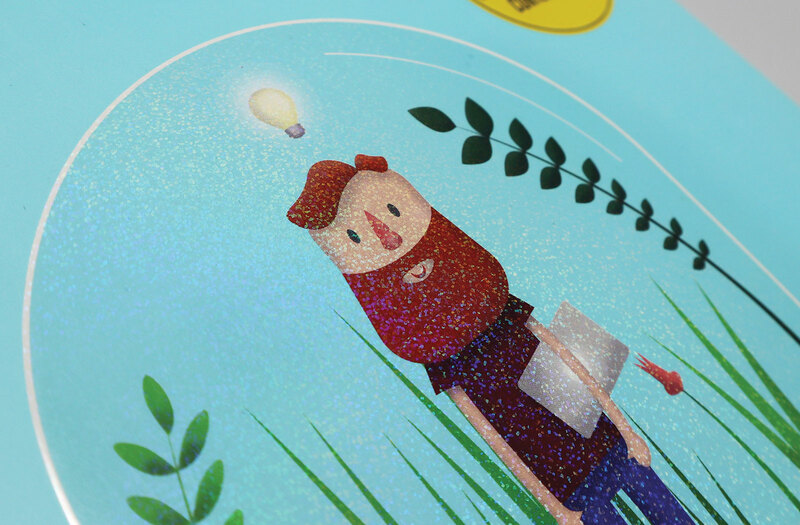 Glitter particles are added to a UV or water based varnish to add sparkle to a design in select areas. The gloss varnish contains metallised flakes, the most popular is silver, gold or crystalina. Other colours are available on request. Glitter varnish is often used for social stationery, seasonal promotions or other decorative designs.